Writing prompts are no longer static when they are placed into an environment of active collaboration, reading and responding via any number of mechanisms (mobile, elearning, face-to-face, and hybrid). The key is to develop prompts that work in all environments. 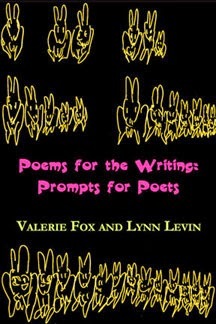 Welcome to an interview with Valerie Fox and Lynn Levin, whose book, Poems for the Writing: Prompts for Poets (Texture Press) was a finalist in the 2014 Next Generation Indie Book Awards. Valerie Fox: My name is Valerie Fox and I am primarily a poet. It's been my main genre my whole adult life. I'm interested in collaborative writing, also, and collaboration amongst those working in various disciplines and art forms. As for e-learning, I have taught numerous online or blended classes (including first-year college writing and creative writing). Lynn Levin: My name is Lynn Levin, and, like Valerie, I am mostly a poet. I also do literary translation and lately I’ve been writing fiction and creative non-fiction. Online teaching platforms like Blackboard and Canvas gave me my first exposure to the benefits of e-learning, and I’ve taken a couple on MOOCs myself on Coursera. 2. What makes PFTW unique? Lynn Levin: First, I think we have to brag a little. 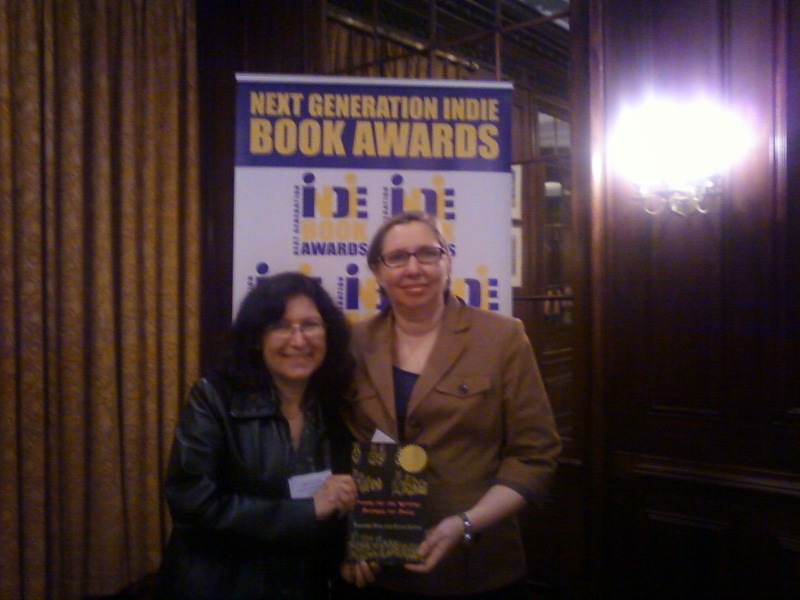 The book was a finalist in education/academic books in the 2014 Next Generation Indie Book Awards. There are quite a few excellent prompt books out there, and we’re proud of ours! But back to the book: all the prompts in the book are classroom and workshop-tested. I think that is one of the most outstanding aspects of the book. We also include samples of the prompt poems, and the samples are contributed by a wide range of users, from undergraduates to very well known poets. Valerie Fox: The book contains a variety of writing prompts--some simple and some complicated. We think this helps to make it applicable writers at any level. We think we are respectful of various styles without seeming to privilege or be a "booster" for any particular style. Oh, and the writers and students have remarked on Don Riggs's whimsical and apt drawings. 3. What gave you the idea to do it, and how did you select prompts and examples? Valerie Fox: We like working together and had noticed that our teaching methods were similar. We had already been sharing ideas. We thought, why not make a book that would be useful for ourselves and others teaching similar classes? We selected prompts that had been successful. We tried to select some prompts that tended to be formal (or invite writers to think about or even invent their own form) and others that were based on "content" (for lack of a better word) or rhetorical strategy. As for the examples, we again aimed for variety. It was Lynn's insight to include examples written by our students. I do not think it is apparent, typically, to readers which poems were written by students and which ones were written by notable poets, actually. Lynn Levin: I’d like to add that we chose some of the prompts because, as Valerie says, they were formal, for example, the cameo cinquain, the Fibonacci poem, and the rules poem. We chose others because they were intertextual, such as bibliomancy, fake translation, and swipe a line, find a title. I think the formal poems help writers put their thoughts in a pattern. The intertextual prompts help writers bring an element of strangeness into their poems by nudging writers away from their usual rhetoric. Valerie taught me prompts I’d never heard of before, especially that cool bibliomancy prompt. 4. How do you use the text in conjunction with writing workshops? Online courses? F2F courses? Valerie Fox: I've found the book to work well in online or part online classes as a resource for writing at home. Students discuss their reactions to the example poems in discussion threads in the course. For F2F, I assign a prompt and have students write the poem and bring to class. Also, I really like pulling it out to use as an example for something. If we are discussing how a student's poem could be improved by working with line breaks, we can look at various handy examples from PFTW. 5. What kinds of results have you seen? Valerie Fox: The chapters (like "Fibonacci Poem" and "The Cameo Cinquain") that get students to think about syllables, line breaks, and meter are excellent in-class exercises. The students display a huge amount of creativity with these prompts. Lately I suggested the Cameo Cinquain prompt as a revision strategy. One student used it to edit a long poem (that was a kind of portrait) about a specific person/serious situation. She really succeeded with that poem. Students who have a kind of dominant mode when forced to try the prompts sometimes discover a new strength, as relates to their writing and writing process. Seeing them discover that is a real kick. Several individual writers (those writing not with a group or for a class) have told me that the book has been really useful to them. That's very gratifying, too, as it was our hope that this would be the case. Lynn Levin: I like the way some of the prompts, such as the I-hate prompt, help writers loosen up and have fun with what bugs them. And the unanswerable letter prompt has given birth to a lot of very touching poems about pets and grandparents as well as vehement poems about departed kin. So I guess I find the emotional results very rewarding. Lynn Levin: We are always adding new elements to the prompts or coming up with new prompts. We also like to help other creative writing teachers use the text. In fact, I think that we may be focusing some of our attention on workshops for teachers of creative writing. Valerie Fox: We've had a wonderful time giving workshops. We have one slated for this July 2014 at Poets House in NY and we are so excited about that. We have ideas for some new prompts. We will post some or all on the blog we made to go with the book (www.poemsforthewriting.com). I know we will continue to collaborate in some ways (both writing or presenting). I am open to various possibilities. Lynn Levin is a poet, writer, and translator. She is the author of four collections of poems, most recently Miss Plastique (Ragged Sky Press), a 2014 Next Generation Indie Book Awards finalist in poetry; and co-author, with Valerie Fox, of the craft-of-poetry textbook Poems for the Writing: Prompts for Poets (Texture Press), a 2014 Next Generation Indie Book Awards finalist in education/academic books. Lynn Levin is the translator, from the Spanish, of Birds on the Kiswar Tree (2Leaf Press, 2014), a collection of poems by the Peruvian Andean poet Odi Gonzales. Levin’s poems, essays. translations, and short stories have appeared in The Hopkins Review, Cleaver, Young Adult Review Network, Boulevard, Southwest Review, Ploughshares, Michigan Quarterly Review, and other places. She teaches at the University of Pennsylvania and Drexel University. Valerie Fox has published numerous books of poetry, including The Glass Book (Texture Press) and The Rorschach Factory (Straw Gate Books). Her poems have appeared in Apiary, Hanging Loose, Ping Pong, Sentence, West Branch, Blip, Per Contra, Qarrtsiluni, Juked, and other journals. Much interested in collaboration, Fox has published many poems and stories co-written with Arlene Ang. Their compilation, Bundles of Letters Including A, V and Epsilon (Texture Press) came out in 2008. She co-wrote Poems for the Writing: Prompts for Poets (Texture Press), a 2014 Next Generation Indie Book Awards finalist in education/academic books. She was a founding co-editor of the magazines 6ix and Press. She teaches writing at Drexel University, in Philadelphia, Pennsylvania.